If you had to describe the APEX product in one word, it would be Gigantic! And we aren't just talking about the size of the product with is 20 massive construction kits featuring 2200 loops, one-shots, riffs, and samples, we are talking about how BIG the recordings sound! APEX is truly a special product produced in collaboration with Trevor Lawrence Jr, John Stanley, and Donald Johnson with Dan Antunovich on bass and Kamil Rustam on guitar! This is an Allstar team of musicians and producers who are responsible for millions of records sold in the music industry, and massive sound design on movie hits like Man of Steel! We decided to bring the best of both world's together and give you an Urban Cinematic product you won't soon forget. The Foundation: It all starts with the drums! Trevor Lawrence Jr aka "Drumpimp" and world-renowned engineer Rich Niles put together a collection of drum kits that lays an incredible foundation for this product including a massive 23 mics! Because of such a large selection of mics, you can create nearly countless numbers of tones. Trevor featured the Instanbul ClapStack which he was instrumental in developing with the company, and of course as one of the best drummers on the planet. He played live on the entire product giving you pockets that are perfect. Additionally, Trevor overdubbed with percussion as well, and dug into his collection of almost 200 snare drums to give you the diversity that you need! The Cinematic Guru: John Stanley did a masterful job on this product laying the melodics of strings, brass, and sound fx, and other orchestral parts to give it a huge cinematic flavor while maintaining the crucial pocket for the urban parts to break through. John Stanley’s work has been featured on tons of movies including Man Of Steel and many other major pictures! He catchy string and brass lines that ensembles together to give you a big feel. Whether you want to use the sounds individually or in tandem you will be pleased with the results. Dan Antunovich aka "The Baddest Bass Player From New Zealand" - Dan's bass grooves are something special on this product, fitting in the pocket, and going straight insane when it’s called for with blazing riffs and activity. Kamil Rustam aka "String Assassin" has played with everyone, his credits span wide! He is an absolute monster on guitar, playing in every style imaginable! The tones that he dialed up on guitar stand out on this product! He was the perfect guitar player for this product! The Producer: Donald Johnson aka "Don P" did what he does best on this product! He produced, orchestrated, and was there from start to finish making sure that APEX delivered what is sure to be one of the best products released of his career. The Following End User License Agreement is included with Apex. This License is only valid for the individual who has purchased an unopened, new and lawfully made copy of Apex from a dealer or distributor authorized by Big Fish Audio. "Code Audio Group LLC Terms & Conditions Of Usage This document sets forth the terms and conditions of use for Code Audio Group LLC products. By choosing to purchase, download or use Code Audio Group LLC products you agree to adhere and follow the terms and conditions of use. These terms and conditions of use apply to all Code Audio Group LLC products purchased and or downloaded from any Code Audio Group LLC distributor. 1.) 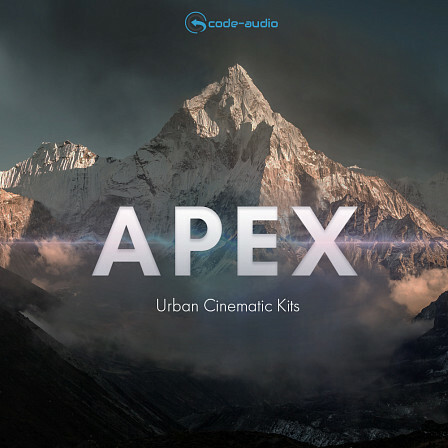 Code Audio Group LLC grants you, the end user a non-exclusive royalty free license to use Code Audio Group LLCs products for your original music compositions, CDs, DVDs, Video, Mixtapes, Games, Movies, Presentations, Websites, etc. provided that you add additional music and or vocals. 2.) This non-exclusive license on Code Audio Group LLC products is not transferable and cannot be sold, or lent to others. 3.) Code Audio Group LLC retains the ownership of the products, and grants you a nonexclusive license to use them. 4.) You may not sell or lend complete products or separate parts of the products by alone nor included or bundled in software or hardware without the expressed written permission of Code Audio Group LLC. 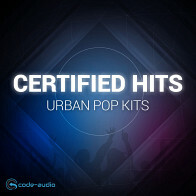 Please direct all questions or comments to Code Audio Group LLC at: sales@mvploops.com "